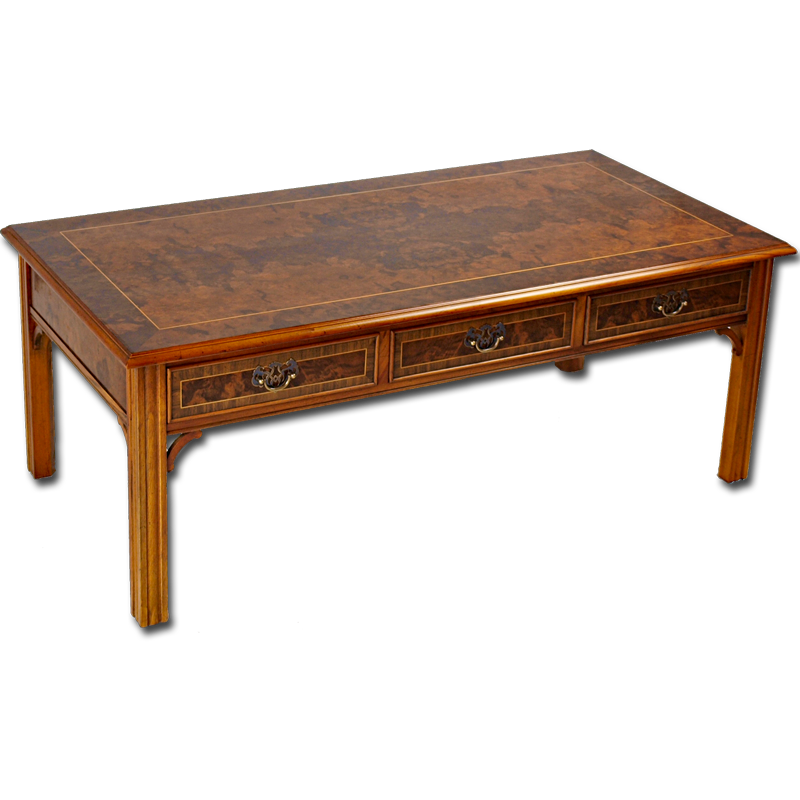 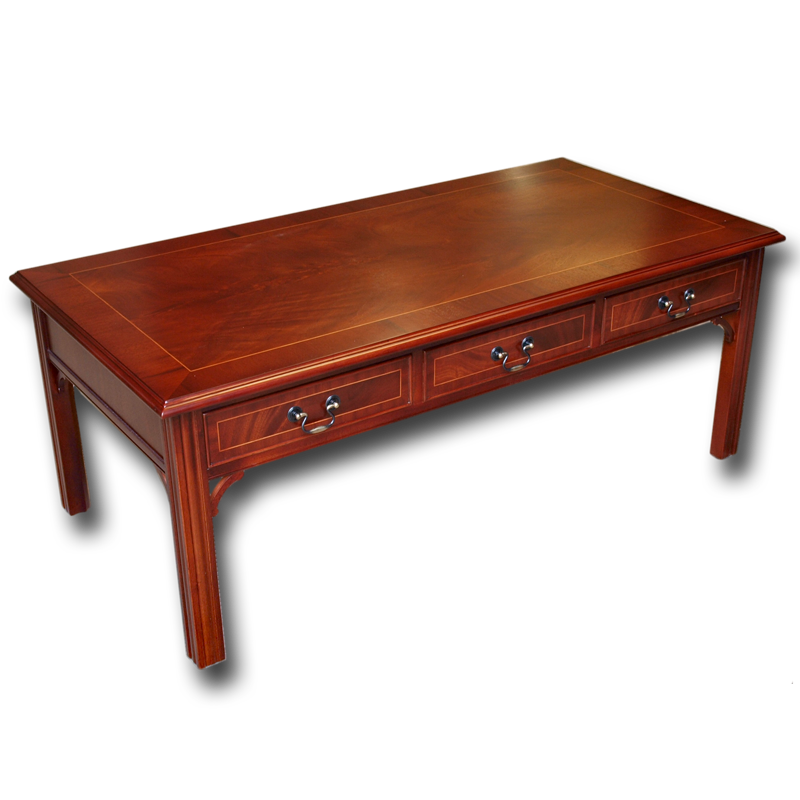 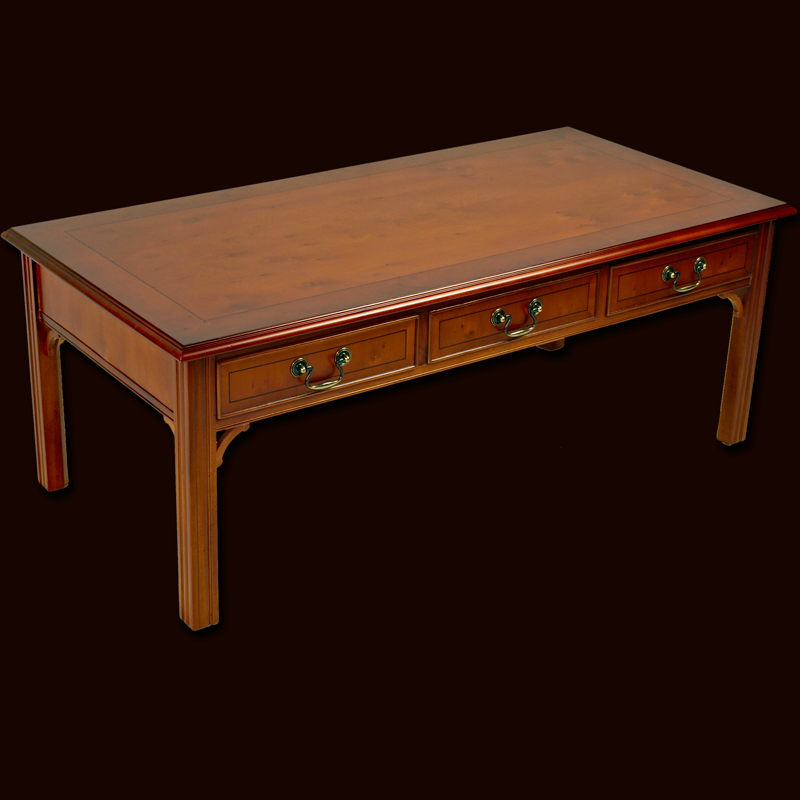 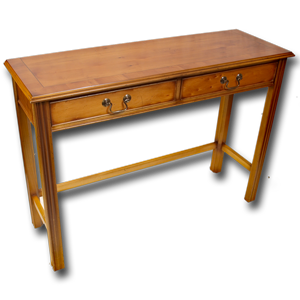 Reproduction furniture Chippendale style coffee table featuring 6 working drawers for maximum storage. 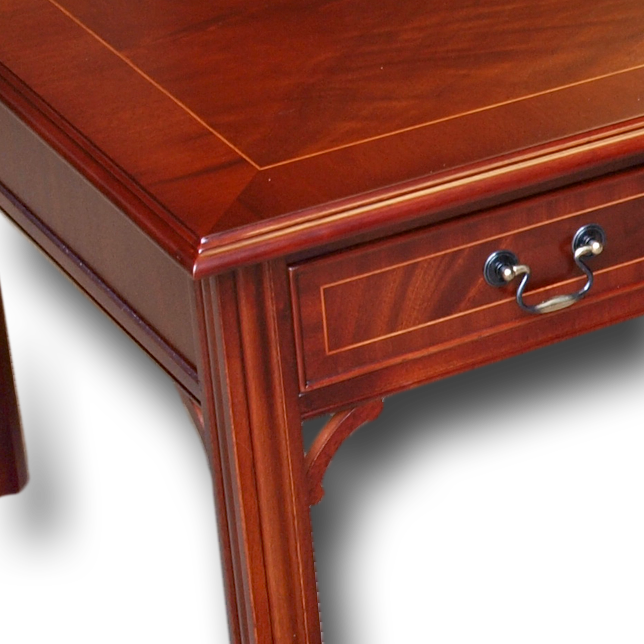 Available in yew, mahogany and burr walnut. 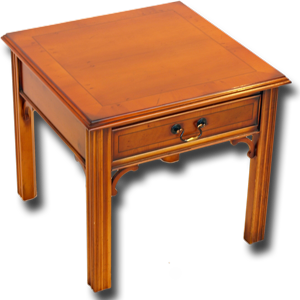 This table can be made to your size and drawer requirements - please supply details to obtain a quote. 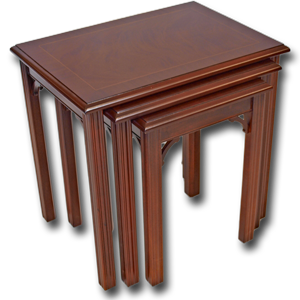 In stock in mahogany, Walnut & yew awaiting your choice of finishes.